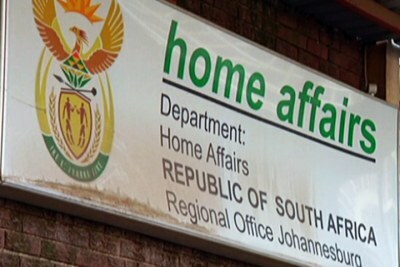 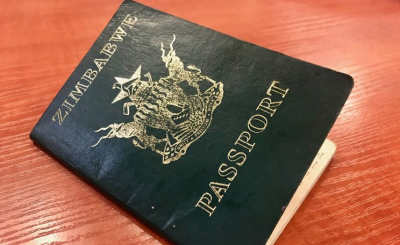 Zimbabwean teachers in the Western Cape have accused the Department of Home Affairs of dragging its feet in verifying Zimbabwe Exemption Permits. 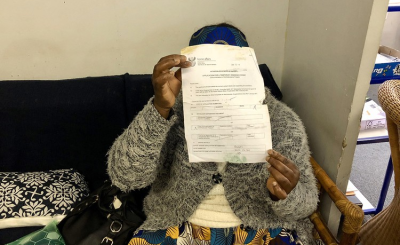 Without a valid permit to show, most applicants find their bank accounts frozen, face difficulties registering their children at educational institutions and are even losing their jobs. 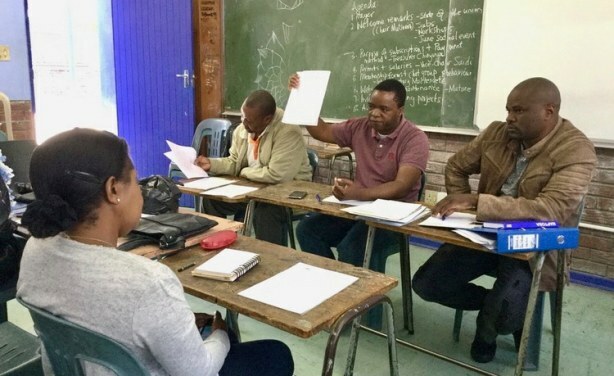 Chairperson Jack Mutsvairome (centre), with publicity secretary Kudzi Muchengete (on his right) and vice-chairperson Ibrahim Saidi (on his left) addresses a meeting of the Union of Zimbabwean Educators Western Cape in Parow.